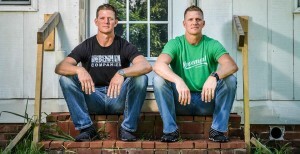 After an uproar from conservative customers, SunTrust Banks announced Friday afternoon that the decision to end its relationship with real estate entrepreneurs David and Jason Benham had been reversed. Earlier Friday, The Daily Caller reported that SunTrust Banks had pulled all of its listed properties with the Benham brothers’ bank-owned property business. The move came just a week after HGTV announced it was canceling a planned home renovation show hosted by the Benhams because of their conservative views on abortion and gay marriage.